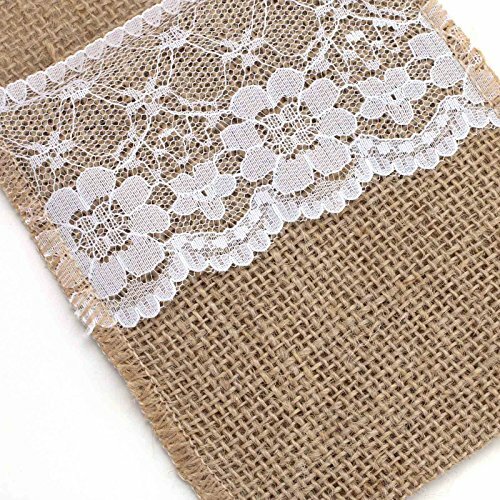 These fun and rustic natural burlap bags make perfect party favor bags for showers, weddings, birthdays, receptions and other events. 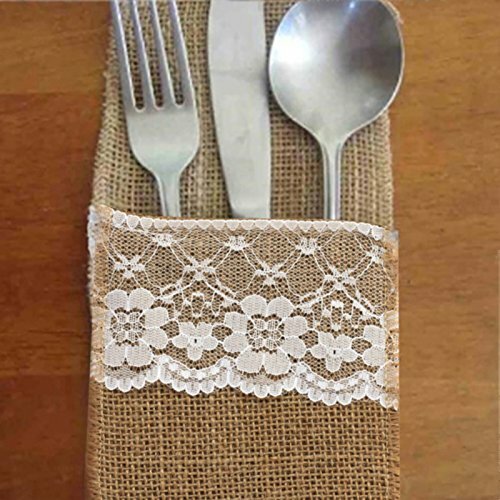 They are great for everyday use as well! 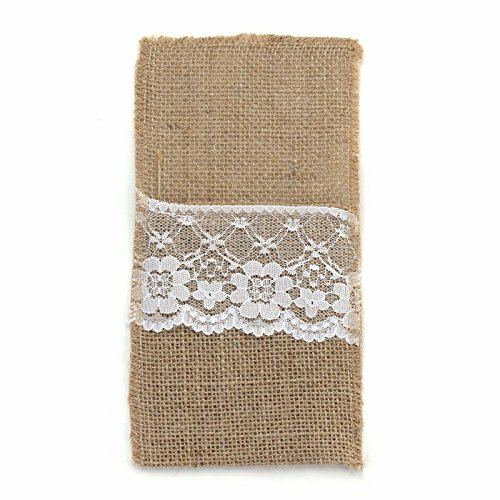 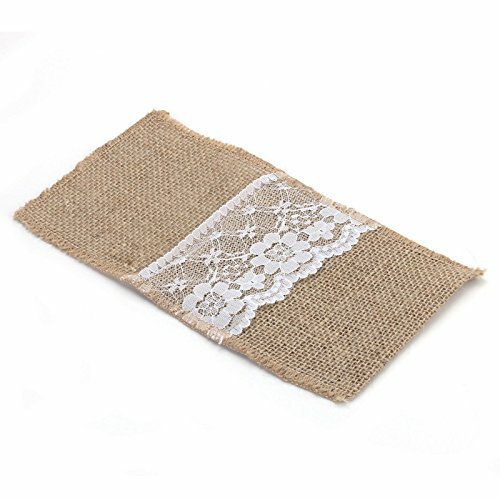 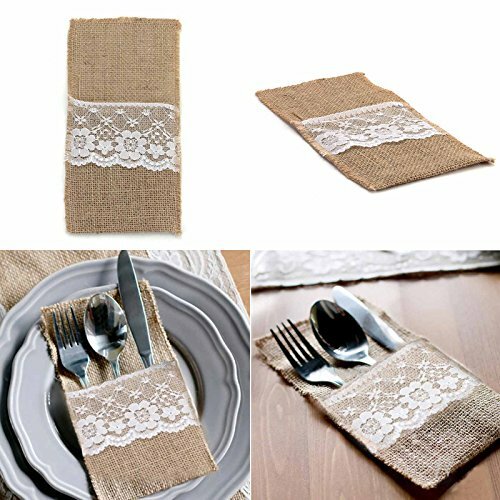 Condition: 100% Brand New and First Quality Material:Hessian Burlap&Lace Size: 11cm x 21cm / 4" x 8.5" Each One This cutlery holder is sewn on all four sides, and has a lace trim across the front These fun and rustic natural burlap bags make perfect party favor bags for showers, weddings, birthdays, receptions and other events. 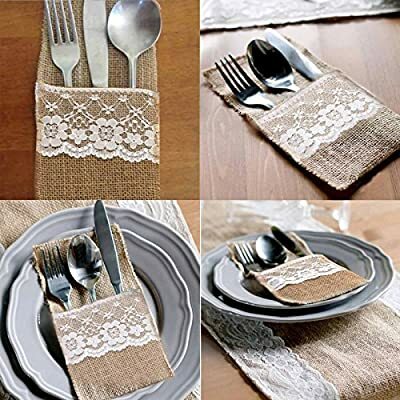 They are great for everyday use as well!